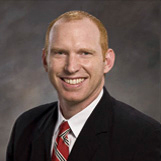 Dr. Ozment was born in Cherry Point, North Carolina and raised in Plainfield, Indiana. He completed his undergraduate studies at Indiana University, receiving a B.S. in Biology. He completed his dental undergraduate studies at Indiana University School of Dentistry. Dr. Ozment is certified in Advanced Cardiac Life Support (ACLS). Dr. Ozment lives in Crystal Lake, Illinois with his wife, Nicole, and three sons. He enjoys playing basketball, following Indiana sports teams, and spending time with his family.